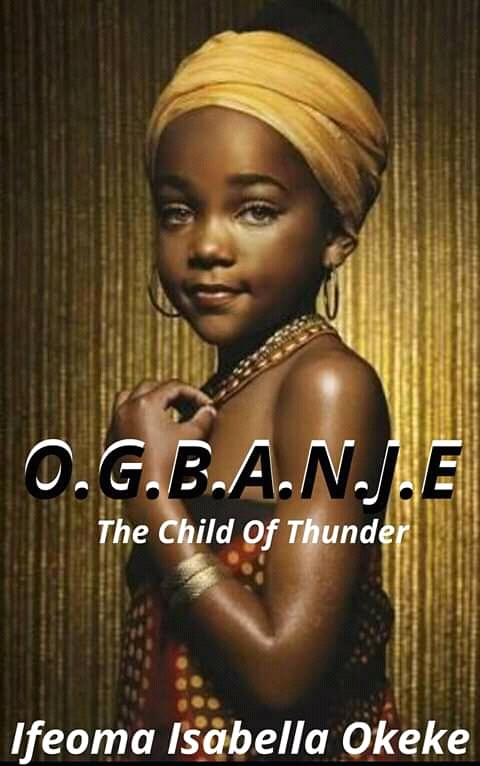 Ogbanje is a very captivating and interesting story that is unpredictable with unique characters. The story talks about Amadioha (Ebuka) and Alaolisa (Ogbanje) who fell in love with each other and got married in the realm of the gods. Amadioha weakness was used against him and he did the unthinkable. He left his abode in shame and was never seen again for a very long time. Alaolisa who was the princess of the Ogbanje kingdom decided to spend some time in the human world and was born into the family of Okoro. As a human she forgot who she was. She met and fell in love with Ebuka her previous husband in the realm of the gods. It's a wonderful story that shows that true love conquers all odds and also darkness can't overcome light no matter how hard it try. Where love is suppose to be no one can separate it. After a fruitless effort by Ikenga to separate Alaolisa from Amadioha proved abortive he let go and wish them well, this shows how strong love is. The two lovers never gave up on their love and faith in each other despite the hatred Ogbanje's witch step mother, Adaku, had towards her. They fought with Uhammiri, a evil goddess who took interest in Ebuka, until they gain their victory at last. The story ended with joy, peace, love and harmony.